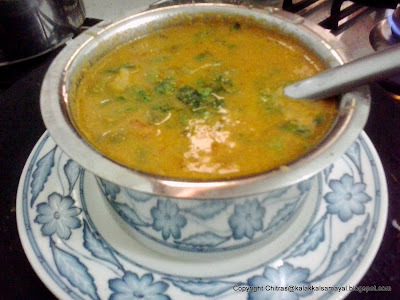 #VegetableKurma : #Kurma is prepared as side dish for chappathy, poori, briyani, and pulav. Generally made using coconut masala with vegetables or potato or white channa or green peas. 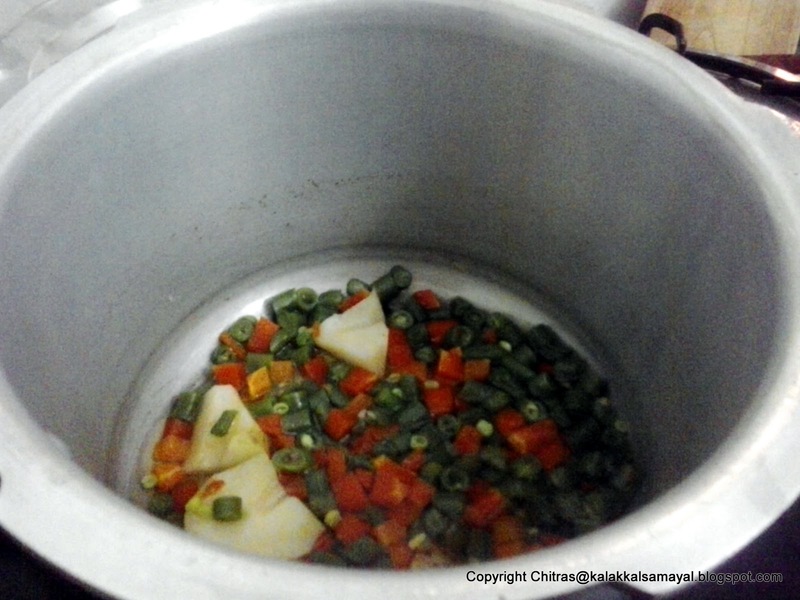 Here I am going to present a quick way of preparing oil less kurma with mixed vegetables and potato. Potato : 1 medium size. Take all the ingredients except tomato in a mixer grinder jar. Run mixer grinder without adding water. Cut tomato into pieces and add. Grind well all the ingredients and make into a smooth paste. Wash potato thoroughly and cut into four pieces with skin. Put in a cooker with 3/4 cup of water and little salt. Allow 3 whistle and 5 mins at SIM. Take out after steam has completely gone and keep aside. Now add cut vegetables in the cooker with 1/2 cup water and little salt. Just allow one whistle and switch off stove. Immediately release steam and open the cooker. 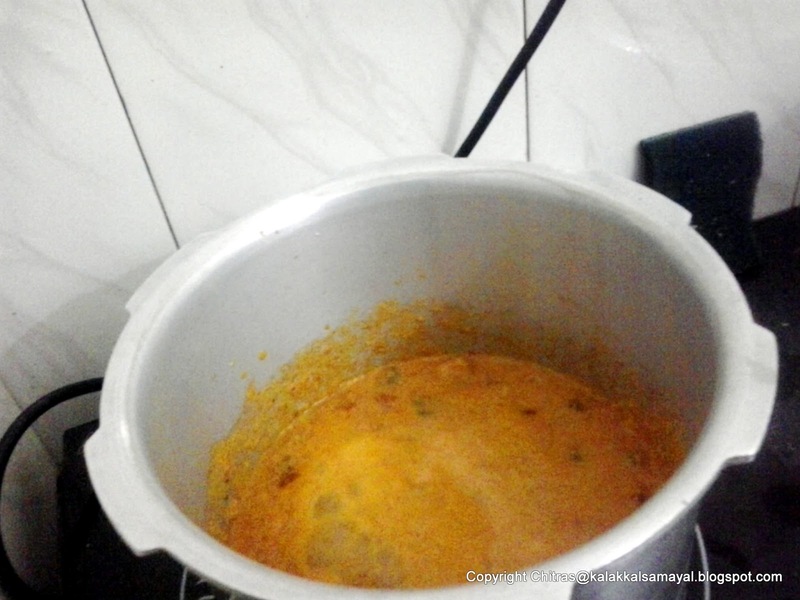 Now keep the cooker with vegetables on stove. Maintain the fire at SIM position. Remove the boiled potato's skin. Break into pieces by hand and add. 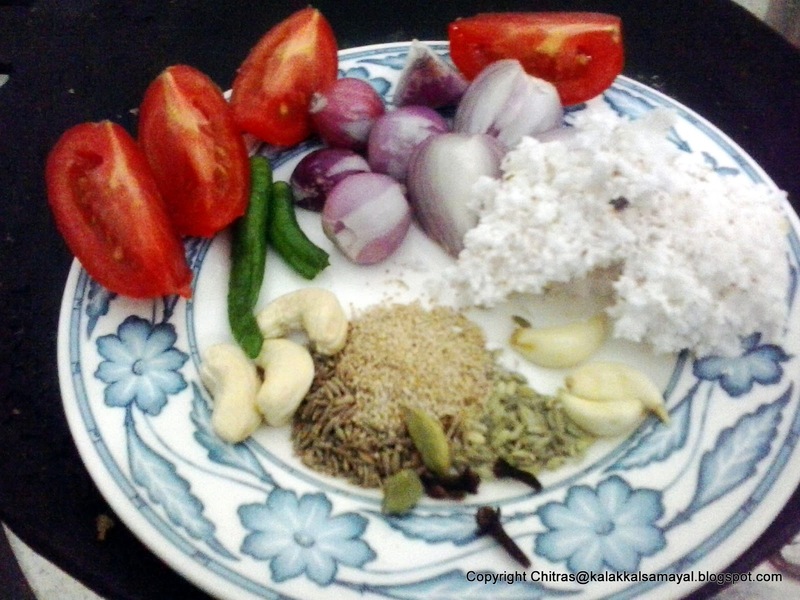 Now add the prepared masala and salt. Allow it to simmer for 7 to 10 minutes. 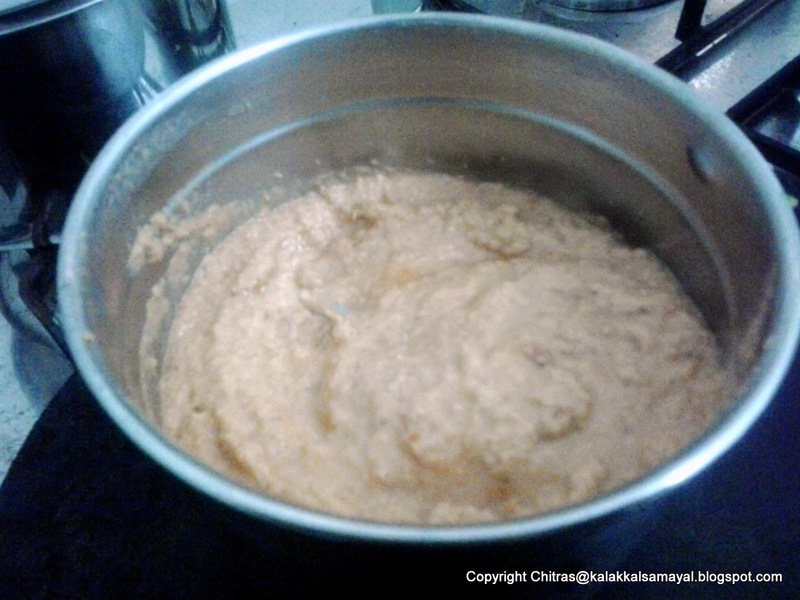 If needed temper cumin seeds in 1/2 tsp of oil and pour over kurma. 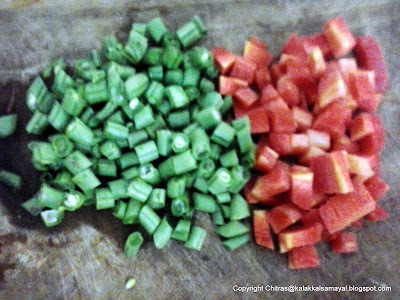 Note : Take only green chillies or only red chillies or in combination as mentioned above to prepare masala. The taste of kurma differs with the choice of chilly. The taste of kurma differs also with the choice of tomato. Country tomato makes it slightly tangy while banglore ( naveen ) tomato gives a very good color. 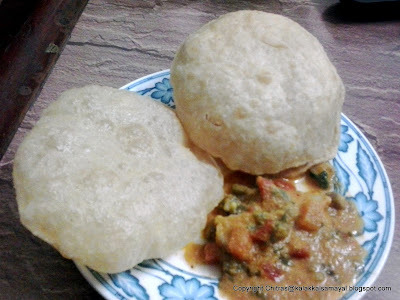 A very good side dish for poori and chappathy. 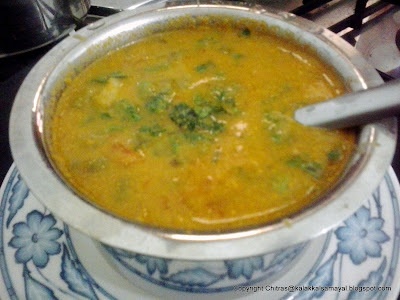 It also goes well with hot idly, appam and soft dosai. It can also be taken with briyani, pulav and also with hot white rice.